Garnet is the name given to a group of silicate minerals with six distinct varieties. It is widely used in jewelry making and as an industrial abrasive. Silicate minerals are one of the primary rock-forming minerals. They are found nearly everywhere in the world and make up roughly 90 percent of the Earth's crust. The use of garnet dates back to the Bronze Age, which spanned from 3300 BC to 1200 BC. 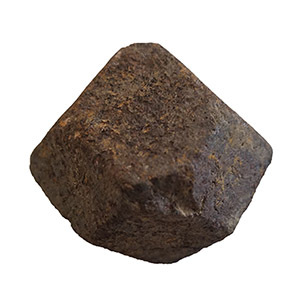 It is still used widely in making jewelry, and is even used as building material. Garnet can be ground into sand, and used as an abrasive substance, meaning it is good for sanding and cutting. In fact, garnet sand is often used to cut steel and other minerals using a tool called a water jet. Water jets combine highly pressurized water with an abrasive substance; in this case, garnet sand. Garnet sandpaper is also used to sand down rough wood to build different types of furniture, and is favored by most cabinetmakers. Garnets come in many different colors, such as red, orange, yellow, green, purple, brown, blue, black, pink, and colorless, with reddish shades being the most common. Its chemical formula varies, forming different varieties of garnet, each having its own name. X3Y2Si3O12 is the generic formula for garnet. All of the varieties have Si3O12 as part of the basic make up with calcium, manganese, iron, magnesium, aluminum and chromium combining to create the different varieties. 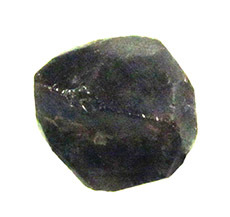 In their natural state, garnets are mostly found in the dodecahedron shape which has many sides. Due to the complex chemical make-up, the atomic bonds in garnet are especially strong. As a result, garnet ranges from about 6.5 to 7.5 on the Mohs Scale.The Mohs Scale is a scientific measure used to describe the density and hardness of a certain mineral. It was created in 1812 by German geologist and mineralogist Friedrich Mohs. The hardness of all minerals is rated using a scale from 1 to 10. Minerals obtain a ranking based on their ability to visibly scratch or break another. For example, Talc has a Mohs rating of 1, and therefore can be easily scratched by any other mineral. By contrast, diamonds have a rating of 10, making them nearly impossible to be scratched. Some other popular minerals, with similar Mohs ratings to garnet are quartz, pyrite (fools gold), silicon, opal, peridot, tanzanite, jade, emerald, and hardened steel.